Wouldn’t it be nice if all babies came with an operating manual? That way—just as with electronic gadgets—we need not worry about whether or not we are doing the right thing for our babies, especially when faced with dissenting voices. Here are four books that come close to being manuals for bringing up baby and child. 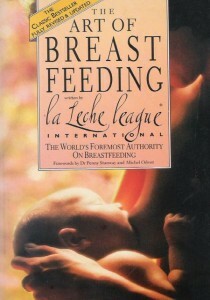 This book helped me through the long, difficult, early days of breastfeeding my first baby. As a new and inexperienced mother, this book was my sole resource, my main supporter and my biggest encouragement (husband aside, of course). By the way, thanks so much, Soo See, for the gift. It was a huge help and I was thrilled to have received it. The Womanly Art of Breastfeeding was first written 46 years ago with warmth, courage and conviction by seven gutsy ladies, all fully committed to the breastfeeding ideal. They went on to found the La Leche League (“la lay chay” means “the milk” in Spanish), now a worldwide organisation that helps women to successfully breastfeed their babies. 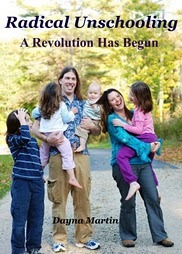 Six revised editions later, this book is still packed with relevant information that covers the various aspects of mothering; including the early months, going back to work, dealing with common problems, fathering, weaning, nutrition, discipline, special circumstances like multiple births, content of breast milk and so on. It is very much a “can do and don’t believe otherwise” type of book and serves to inspire as well as to educate. Keep your child's emotional tank full. 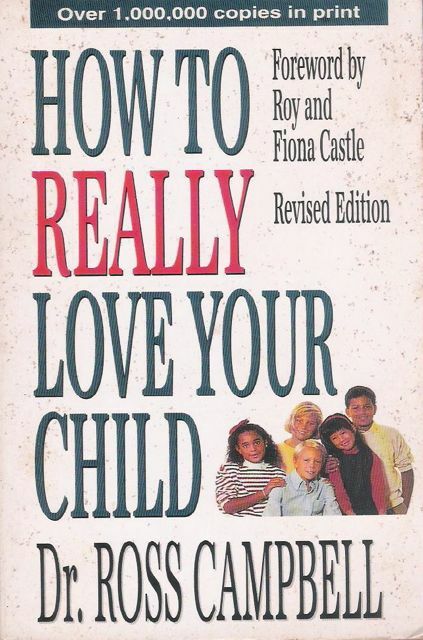 Although Dr Ross Campbell writes from a Christian perspective, there are genuine gems of parenting wisdom in How to Really Love Your Child that are completely universal and spot on. 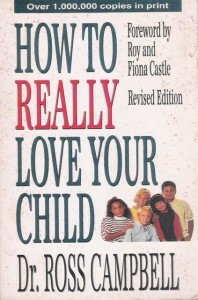 This book is a must read for all parents who have ever had problems with their children. All children are constantly asking the question, “Do you love me?” of their parents in their behaviour and everything they do. While the answer is almost always a resounding YES, many parents are unable to communicate this to their children in a way that the children get the message. Dr Campbell outlines three vital ways that parents can convey unconditional love to their children: eye contact, appropriate physical contact and focused attention; and therefore keep their emotional tanks full. The fuller his emotional tank, the more positive is the child’s feelings and the better his behaviour. Only when his emotional tank is full can a child respond positively to discipline and handle anger appropriately. Kids need their feelings validated. 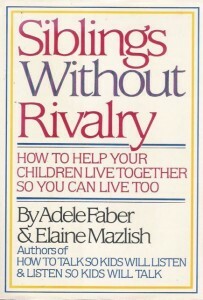 If you have more than one child, Adele Faber and Elaine Mazlish’s Siblings Without Rivalry will help you deal with those aggravating ‘sibling’ situations. And if you don’t, read it anyway, because it may help you make a breakthrough in your relationships with your own siblings. 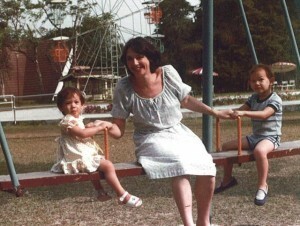 Faber and Mazlish, each the parent of three children, elaborate here the principles they learned from the late child psychologist, Dr Haim Ginott, when they were part of his parent guidance group. 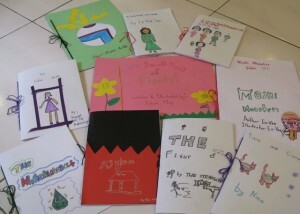 The central theme of the book is that children be allowed to express their feelings, especially the negative ones about their brothers and sisters, and that parents listen to and validate these feelings. Many an explosive situation can be defused by a parent acknowledging a child’s feelings and reflecting them back to him. When children feel that they are understood, the need to be bratty disappears. 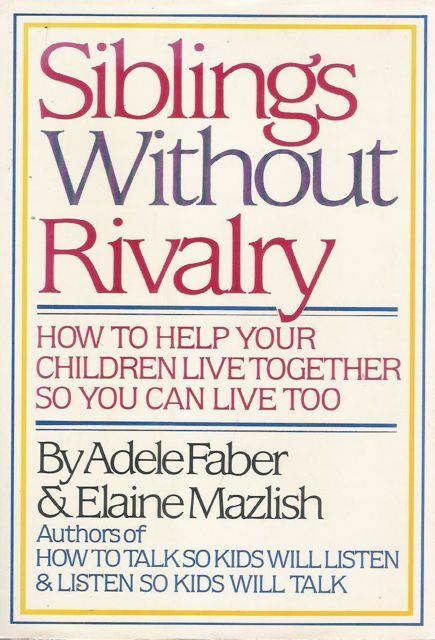 Siblings without Rivalry is easy to read and brings parents through many common everyday situations in a practical and sensible step-by-step manner. We learn every waking hour. 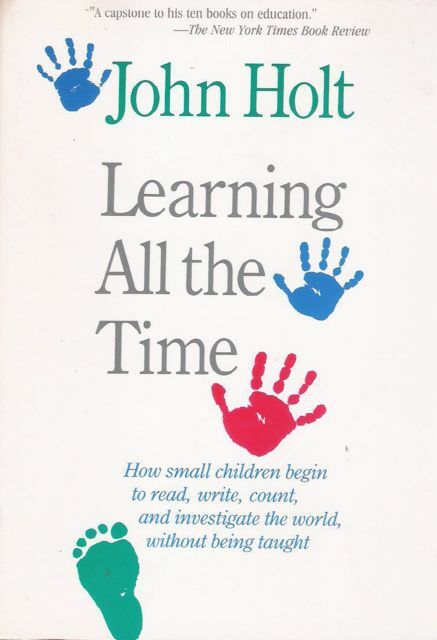 Children learn better if adults do not interfere in the process, declares John Holt. Holt was a former schoolteacher and education reformist who decided eventually that schools could not be reformed, and instead, channeled his energies towards looking at how children could best learn outside the structures of formal schooling. 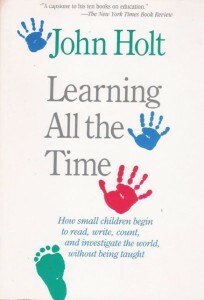 In Learning All The Time , Holt’s tenth and final book, put together after his death in 1985 from drafts and articles that he had written, he explains that in trying to make sense of their world, children are driven to learn all they can about it. Learning is a process that is as natural as breathing. Children pick up bits and pieces of information from all around them, not necessarily in sequence, and fit them together for knowledge when the time is right. Just like research scientists, they are adept at observing, postulating and testing their theories. 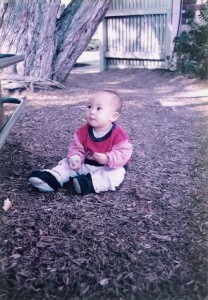 And by figuring things out on their own, children gain confidence in their ability to think. Learning is not, and should not be, an act of volition for children. Holt’s genuine love and respect for children endow his observations with power. His books are essential reading for parents striving to help their children reach their full potential in a complex world.